Back in May, we received a surprising (and lovely) email from Makeup Artist Ashley Walsh of the new Scream series from MTV. 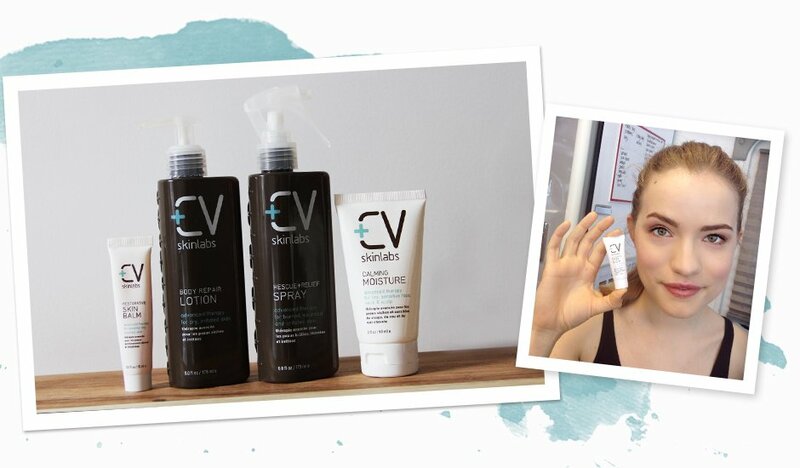 She told us that the main actress of the show, Willa Fitzgerald, was a huge fan of CV Skinlabs! 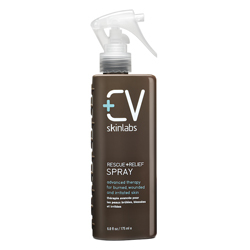 When we asked Willa to host a CV Skinlabs giveaway to celebrate the upcoming fall season, she was thrilled with the idea. We were so glad she was, as we have the opportunity to give one lucky winner the chance to receive skincare products that are gentle and effective on the skin. 1. Submit your email address in the form below (by doing so, you agree to be added to our newsletter). 2. For extra entries, follow CV and Willa on Twitter, Instagram, or Facebook. Contest is open from Aug. 25, 2015 9 AM EST to Sept. 1, 2015 11:59 PM EST. One winner will be selected and notified by CV via email. Good luck! We’re also offering fans of Willa and our customers a 15% discount during this giveaway! Simply enter the code scream15 at checkout and enjoy. CONDITIONS: Giveaway and discount is open to residents in the U.S. only. Contest ends Sept. 1, 2015. Retail value worth $145. One winner will be contacted via email Sept. 2, 2015. Ultra-soothing, fast-absorbing, deeply hydrating body lotion that replenishes and soothes dry, inflamed skin while immediately restoring radiance. Designed for all skin types. Ideal for dermatitis, eczema, radiation burns, and for soothing irritation from post laser hair removal, waxing and shaving. Skin is left soft and nourished with a healthy glow. This super-rescue moisturizer helps to immediately calm, hydrate and nourish chronically dry and flushed skin while returning radiance. Designed for all senstive skin types. Ideal for soothing skin irritated from the effects of microdermabrasion, laser treatments, retinol use, chemical peels, excess sun exposure or chemotherapy. Skin is left soft, moist and glowing. This refreshing, milky emulsion provides deep, hydrating moisture while calming and soothing flushed, sensitive skin. A multitasking formula, it brings instant, cooling relief to itching, burning, irritated, and inflamed skin caused by sun exposure, rosacea, eczema, rashes, laser treatments, chemical peels, shaving, waxing, minor burns, and radiation treatments. This petrolatum-free, nourishing salve moisturizes and helps protect from environmental aggressors. Instantly softens severely dry, rough and chapped skin including lips, cuticles, eczema, cuts, scrapes, IV areas, abrasions, chaffing, new scars and any other areas needing TLC. 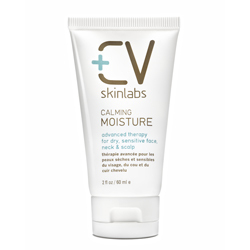 CV Skinlabs is a natural and organic collection of luxuriously soothing and clinically proven formulas that nurture and repair skin. Each product delivers outstanding beauty benefits and proven results, with an unprecedented, new standard of safety, every step of the way. Our range of carefully formulated products can be used with peace of mind by all-particularly by those with sensitive or compromised skin, chemical sensitivities, or conditions such as eczema and chronic dryness, to name a few. We help restore skin to its healthy, radiant best, with renewed softness, suppleness and a youthful glow. We insist on the utmost in safety, by toxicologically examining and screening all ingredients for any link to irritation, cancer or hormone disruption, and by conducting results-driven, rigorous clinical testing. We adhere to strict formula safety guidelines and standards, making sure not to use any ingredients from an extensive list of potentially harmful thickeners, preservatives and aesthetic enhancers, often found in conventional skin care products. Our goal is to always deliver beauty and safety, without compromise. 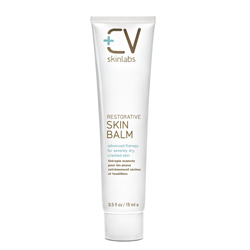 CV Skinlabs was created by safe cosmetic expert and author, Britta Aragon, who after failing to find safe, nourishing skin care products to soothe her own and her father’s troubled skin during cancer treatments, developed a skincare line for anyone seeking safe solutions to repair and restore radiance and luminosity to sensitive skin.